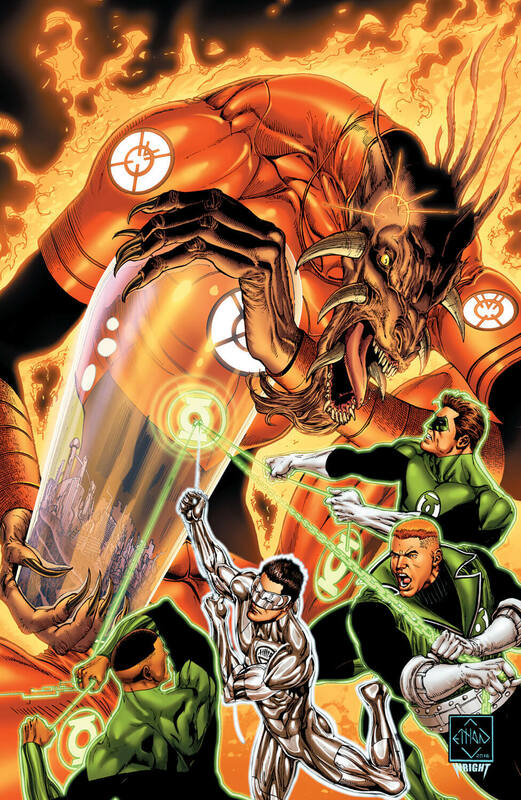 Hal Jordan is lost after Warworld is destroyed and Green Lantern Corps teams up with Sinestro Corps to watch over. While Hal Jordan was fighting to overthrow the tyrannical Sinestro and totally wrecked his Warworld before vanishing into beyond, the Green Lantern Corps had disappeared and came back. Earlier, Guy Gardner was captured by Yellow Lanterns but former Corps member and Sinestro's defiant daughter Soranik Natu helped him out in time. 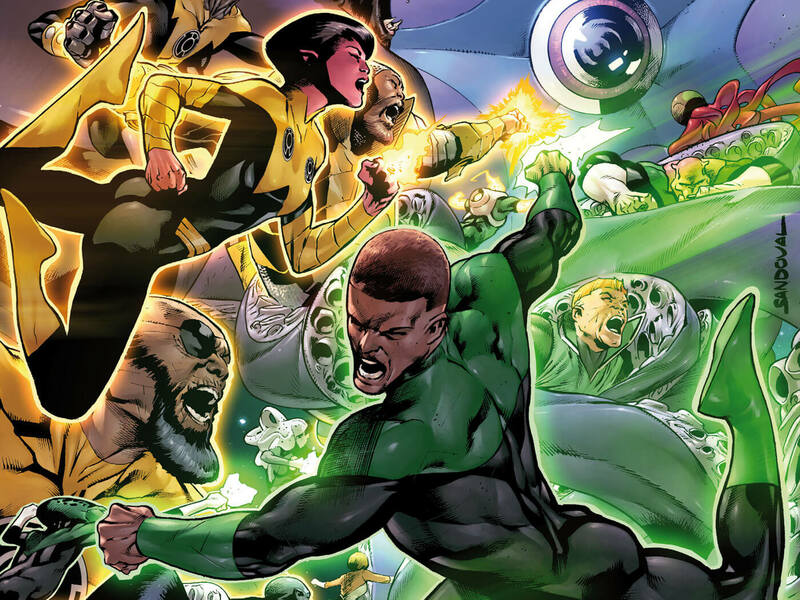 When John Stewart led his entire Corps onto Sector 0, he caught a brief glimpse of that destruction and was surprised to see Gardner with Sinestro Corps, who were currently following the lead of Soranik. As she updates them about what Jordan did back there, Salakk picks up an emergency on Tomar-Tu's homeworld Xudar. Leaving everyone else on living planet Mogo, Stewart takes the rest of the Corps to the location to find it under attack by Starro. John and his colleagues try their best to restrain the Star Conqueror and just when they were feeling outnumbered, Soranik led her Yellow Lantern Corps to help but then it immediately disappears from there. 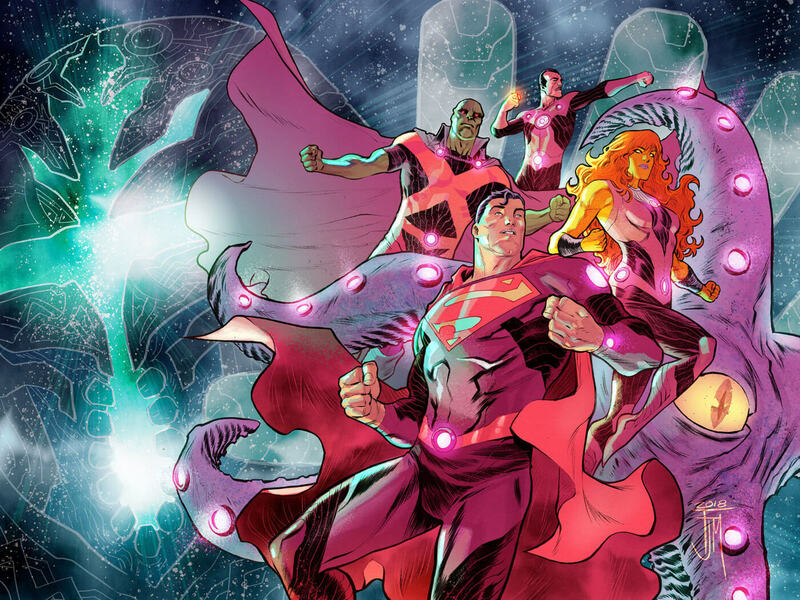 Members of both Corps were having a hard time dealing with the locals controlled by Starro and suddenly discovered themselves trapped within an energy barrier. Attempts of breaking it remain unsuccessful so far and on top of that, all Corpsmen are now suddenly being attacked by a large group of mind-controlled Xudarians. Taking care of the crowd, Stewart realizes after some inspection that they all are miniaturized and captured by Brainiac 2.0. It is finally revealed that Brainiac was actually working on behalf of Larfleeze, who found him among the junks of planet Okaara. Upon learning who their true captor was, John plans an escape tactics with Soranik. On a hidden prison planet of Indigo Tribe at Sector 2814, Ganthet and Sayd finds Hal Jordan's lost ring that indicates end of their exile. They see the ring without its bearer and Sayd asserts it as a deception citing only a Guardian can create a ring of will. However, her husband is amused that it exists and that means Hal proved everyone wrong. 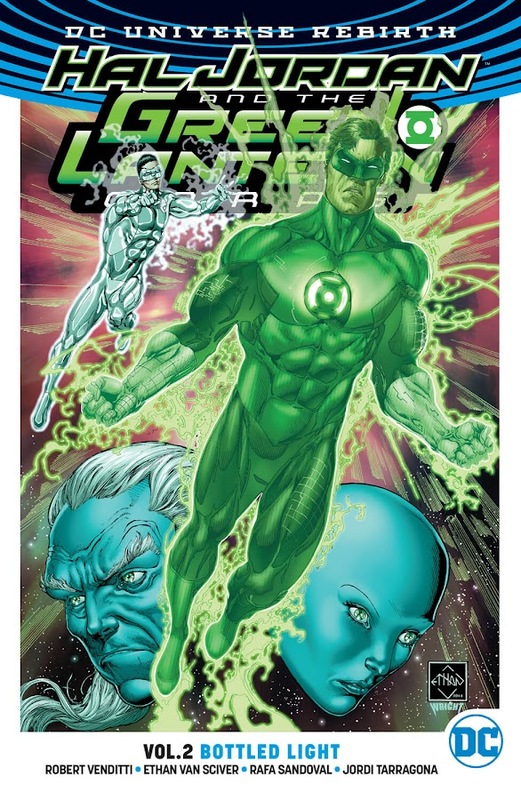 Jordan discovers himself stranded on Emerald Space, where he is greeted by Abin Sur and many other deceased members of the Green Lantern Corps. Since it is an everlasting sphere for departed Corps members, Sur states that Hal doesn't belong there yet and the exiled Guardians notice whatever life essence he had is dying quickly. So, White Lantern Kyle Rayner is called in to rescue Hal from fading away in Emerald Space and bring back to the world of living to save the Corps. 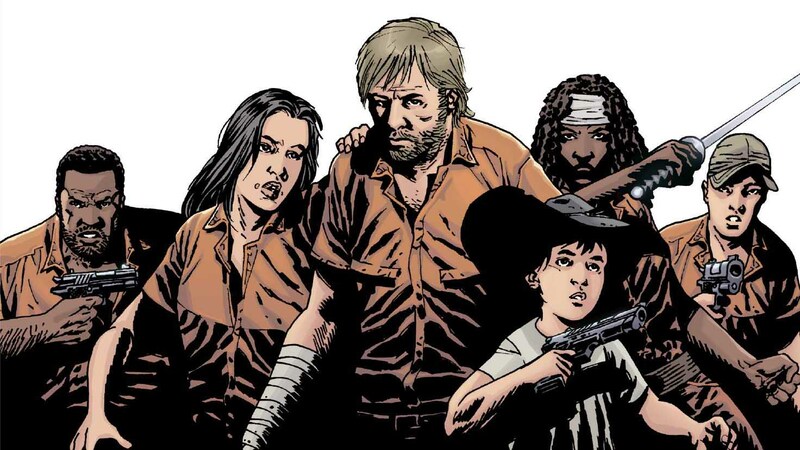 Together they were able to pull Jordan back to the world of living before he was getting lost forever. Hal reunites with Ganthet, Sayd and Kyle with a new perspective at his destiny and learned that his fellow Corpsmen have returned a while ago. They all then head to living planet Mogo to see them all only to know that they all left earlier in response to an emergency but could not establish contact for lack of communication data. 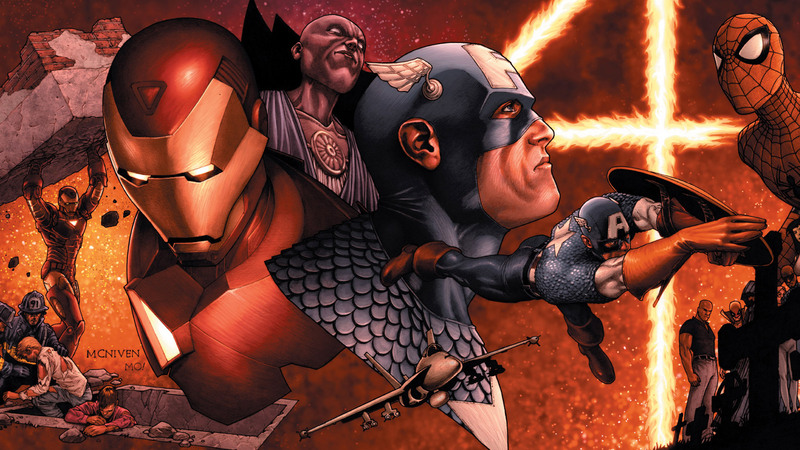 Meanwhile, John Stewart and Soranik Natu starts a fight that eventually draw in every members of each Corps into pounding one another, causing Agent Orange to worry about losing his specimens and unwittingly setting them all free at once. Here is your links to buy "Hal Jordan and the Green Lantern Corps – Bottled Light" from DC Comics in issues on Amazon. Here is your links to buy "Hal Jordan and the Green Lantern Corps – Bottled Light" from DC Comics on Amazon. Picking up one of the renowned flagship of DC Comics, writer Robert Venditti (Damage – Out of Control, Hal Jordan and the Green Lantern Corps – Sinestro's Law) hailed brand-new monthly ongoing comic-book series Hal Jordan and the Green Lantern Corps quite well for "DC Rebirth" from where it was left of by the end of "New 52" run. Venditti was assisted by artists Ed Benes (Justice League of America – Sanctuary, Justice League of America – Second Coming), Ethan Van Sciver (The Flash – Rebirth, Green Lantern – Rebirth) and Rafa Sandoval (Catwoman – Death of the Family, Catwoman – Gotham Underground) for issues #8-13 of second story arc of the series, "Bottled Light". 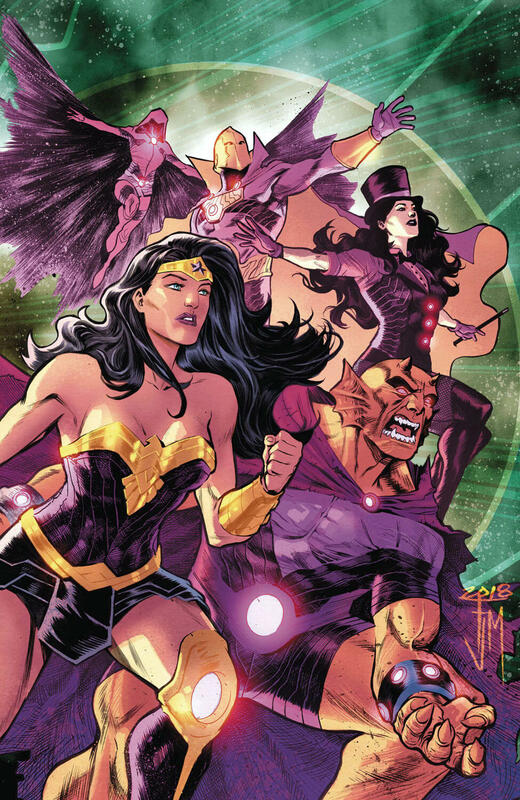 Now that Sinestro is gone, his Corps follows Soranik Natu as their newest leader and she tries to atone for her father's wrongdoings by forming an alliance with Green Lantern Corps. They fight against celestial conqueror Starro side by side before fighting the combined threat of collector of worlds, Brainiac 2.0 and avatar of avarice, Larfleeze. Venditti and his entire creative team continues their successful stint that was kick-started during Rebirth in 2017 and concluded to next story-arc "Quest for Hope", where Kyle Rayner and Hal Jordan will go looking for Saint Walker. 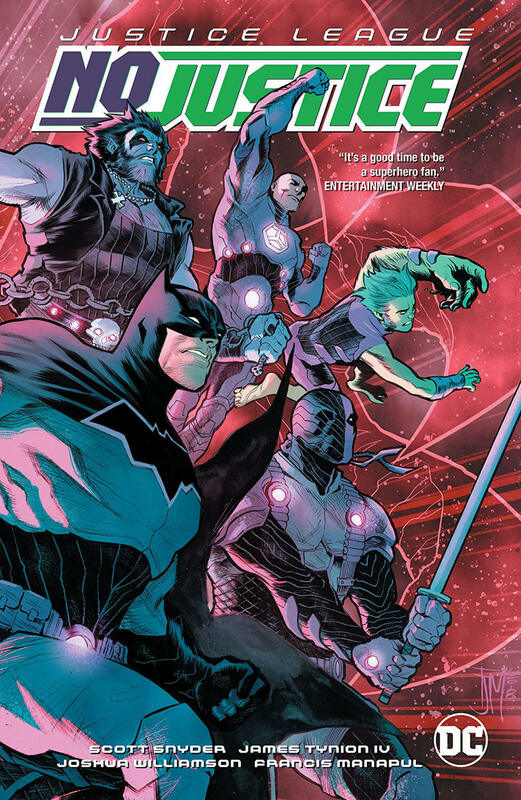 Sandoval is showing some superior drawing skills so far to be a rising star of DC Comics if he is not already. As Superman started dating Wonder Woman now (The Villain's Journey), the media has already dubbed them as the “Power Couple” of the world. Following their recent battle with Kryptonian despot Dru-Zod and his follower Faora that ended up in a massive nuclear blast, both of them head off to heal themselves and a mysterious being of unimaginable brute force unleashes its nonsensical murdering rampage by killing whomever it faces in somewhere else. Since its kill count is growing rapidly and anyone sent to the zone is dying from radiation exposure it exerts, the military calls up for Superman's help. Meanwhile, reporter Lois Lane goes to Smallville for investigating a case of citizens falling into a sudden coma like state. 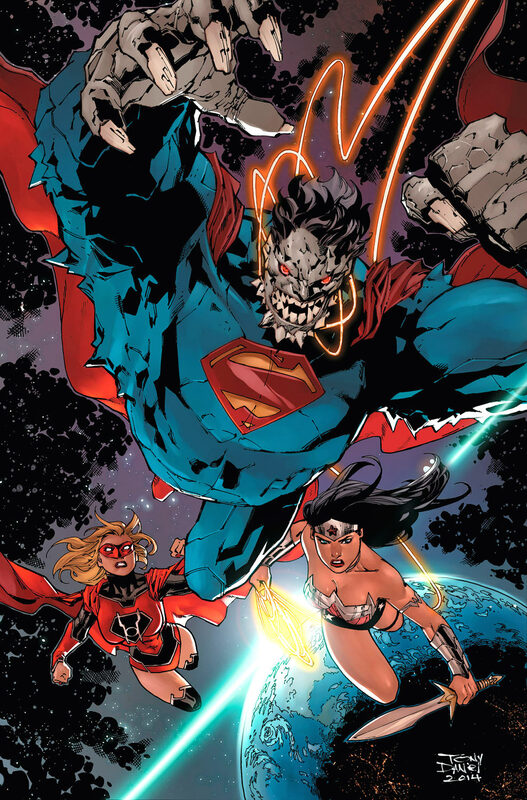 The Justice League finds out that the murderous being known as Doomsday is actually seeking Superman and Lex Luthor suggests he can save the planet by taking the monster along with him out of the world. Agreeing to this, Superman faces Doomsday in a deadly battle for one last time where he eventually kills him using sheer force. However, in doing so by ripping the creature in half, he also absorbs all of the exposure of toxic radiation by inhaling it all that the beast had released upon dying and he then slowly started to change like a Doomsday-like being. Not only he changed in the outside, Clark has totally lost his mild-mannered attitude and becomes more and more aggressive. Worried for Clark’s well being and a sudden change of behavior, Diana sought their mutual friend Batman out for help and together, they visit the Phantom Zone for answers. 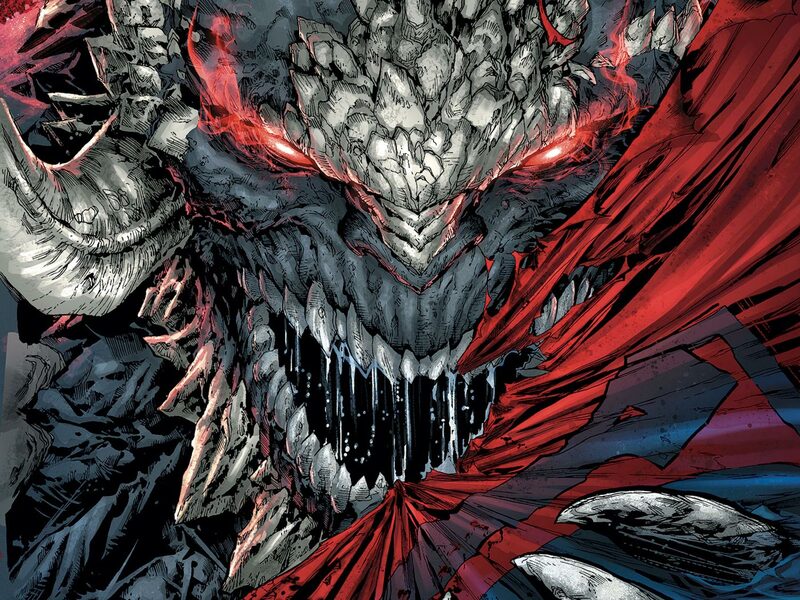 Seeing his grotesque appearance and growing bestial nature, Superman surrenders himself to the authorities but even they deemed it impossible to contain him at one point when he becomes the "SuperDoom" creature. A recent attack from Metallo renders him weak, so Wonder Woman took him to outer space to figure a way out. As Superman turns into a hulking being resembled to Doomsday, his cousin and newest Red Lantern member Supergirl and close friend Steel also came for aid while Brainiac keeps playing with the situation from behind the scene like a mastermind. When he finally shows up with Cyborg Superman and his armada to invade Earth, it appears that he has been controlling Lois Lane all along. For more information on the Superman – Doomed, you can check out these links below. 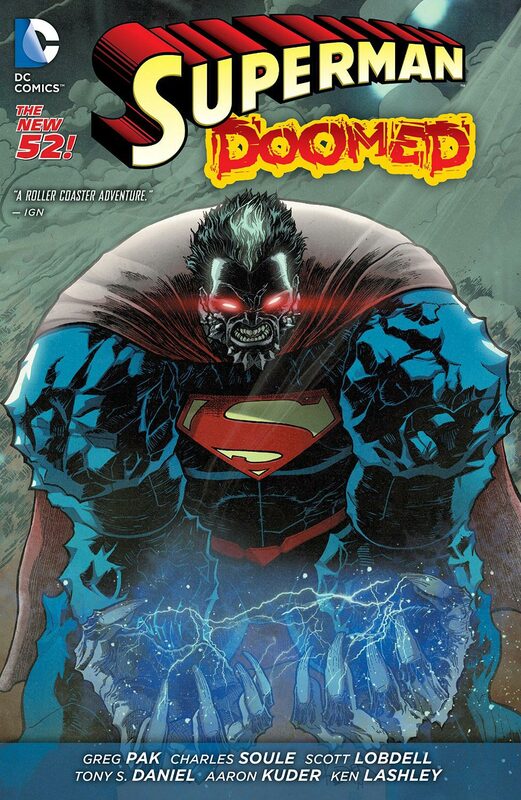 Here is your links to buy "Superman – Doomed" from DC Comics in issues on Amazon. Here is your links to buy "Superman – Doomed" from DC Comics on Amazon. 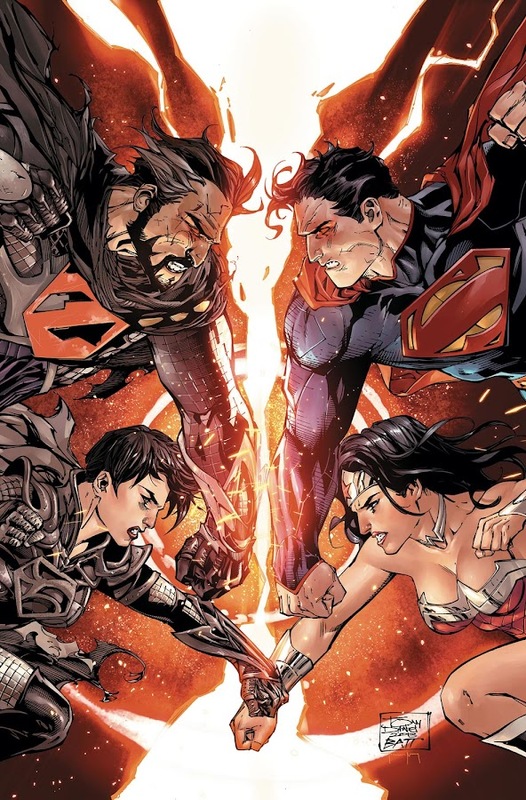 Borrowing elements from the iconic "The Death of Superman" story, writer Greg Pak (Incredible Hulk, World War Hulk), Charles Soule (New Gods – Godhead, Swamp Thing – New 52) and Scott Lobdell (The Darkness, WildC.A.T.s) has put together the grudge match of the two most powerful Kryptonians in “Superman – Doomed” crossover event in 2014 from DC Comics. Unlike the original milestone event where the Man of Steel seemingly faces his demise, this one actually ventures into a different dive of ideas by the creators which contains some twists as well. Artist Ken Lashley, Aaron Kuder (The Amory Wars, Key of Z), Scott Kolins (Legion of Superheroes, Superman/Batman) and Tony Daniel (Deathstroke – New 52, The Savage Hawkman – Darkness Rising) joined forces with these visionary storytellers to envision the results in several monthly ongoing series including Action Comics, Superman/Wonder Woman, Superman, Batman/Superman and Supergirl of The New 52. "Superman – Doomed" is one of the first among the many story-arcs that will slowly led Superman of the Prime Earth to the events of "The Final Days of Superman". After dealing with the crisis of David Graves (Justice League – The Villain's Journey), Superman and Wonder Woman came to the mutual realization that they are so much alike and is alone. From then, these two super-beings started living together and sharing their everyday super adventures of saving world both solo and alongside Justice League. In response to a news of huge storm in North Atlantic, Superman rushes to the spot to aid in rescue after assuring Diana about their plan for dinner together. While saving world wasn’t enough pressure for him, his friend and partner Cat Grant shows him the necessity of big stories for their journalistic website venture which is losing traffic these days. 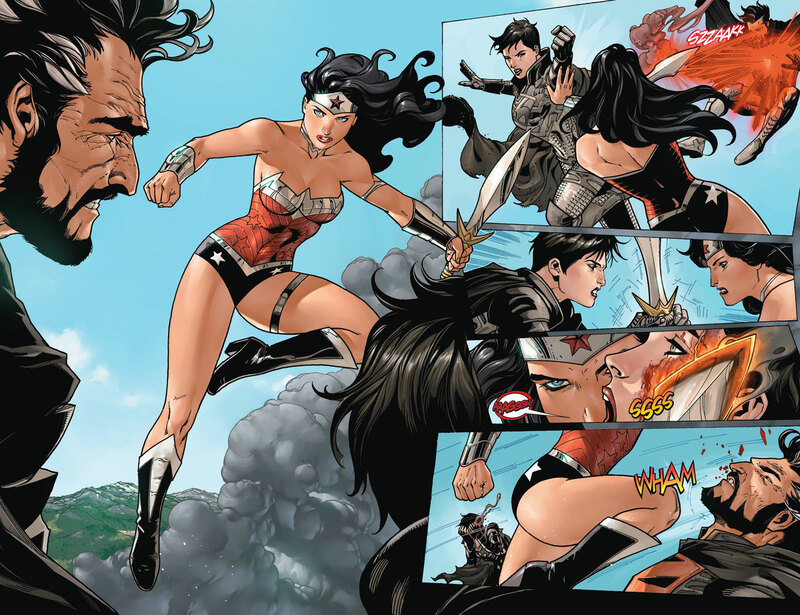 As Diana, Wonder Woman was with her sparring partner Hessia earlier and expressing a bit of her frustration over the fact that she had to keep her relationship with the Man of Steel a secret from everyone and Hessia sincerely tries to resolve her issues. Diana decides to teach Clark to be open up than his usual mild-mannered form and starts training him for battle. Back at their rescue scene, Superman is knocked by a powerful unknown force and advised Wonder Woman to stay away but the entity eventually reveals him to them as the dreadful Kryptonian deformity known as Doomsday. Doomsday immediately engaged Wonder Woman in a short but brutal fight, broke her arm with ease and then flees for no actual reason. As the arrival of this monster was trouble enough, the Kryptonian war-criminal General Dru-Zod shows up from his captivity in Phantom Zone prison, along with his devotee Faora Hu-Ul. For more information on Superman/Wonder Woman – Power Couple storyline, you can check out the link below. Here is your links for "Superman/Wonder Woman – Power Couple" storyline from DC Comics in issues. Here is your links for "Superman/Wonder Woman – Power Couple" storyline from DC Comics. 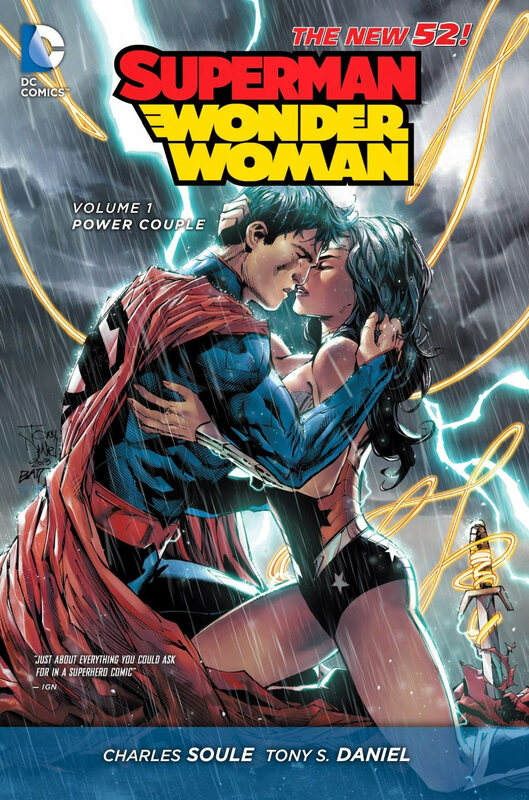 As part of The New 52 rebooted timeline, "Power Couple" is the first storyline from Superman/Wonder Woman monthly ongoing series that hit the stores in 2014 from DC Comics. The story glances on the most-talked about relationship of recent times between the Man of Steel and the Amazon Princess, masterfully plotted out by writer Charles Soule (New Gods – Godhead, Red Lanterns – Atrocities) and artist Tony Daniel (Adrenalynn – Weapon of War, The Tenth – Resurrected), running from issues #01-06 of the first volume of the series. This storyline is directly followed by “Superman – Doomed” crossover event next as their heroic adventure of the Power Couple continues.